We have just come back from a weekend in Florence – my son had never been so we rather wanted to experience the atmosphere just before Christmas and, of course, to wander along the cobbled streets, through the markets, churches and museums and to catch up with friends there. Children are never quite as keen as their parents on this sort of thing but whatever his thoughts, I enjoyed spending time with him. Florence is particularly evocative for us, as Highclere’s Saloon is inspired by the same principle of construction as that of Brunelleschi’s Cathedral Dome. The view into the Saloon from the staircase is framed by four classic “quinto acuto” arches, its virtue is that it visually allows as much space as possible inside the building, whilst best absorbing the stress of the weight of the floors above. Florence is, of course, only a short flight from London. But, growing up with five sisters, we would often travel by car or boat rather than plane, taking a few days to reach our destination each time. On one memorably long journey down to Spain, one of my sisters, Penny, sang Rupert the Bear, and only Rupert the Bear, with just two lines of words, for about 12 hours whilst Nanny fed her Ryvita biscuits with ketchup. The miles are still etched in my memory but somehow it has not put me off the idea of travel. 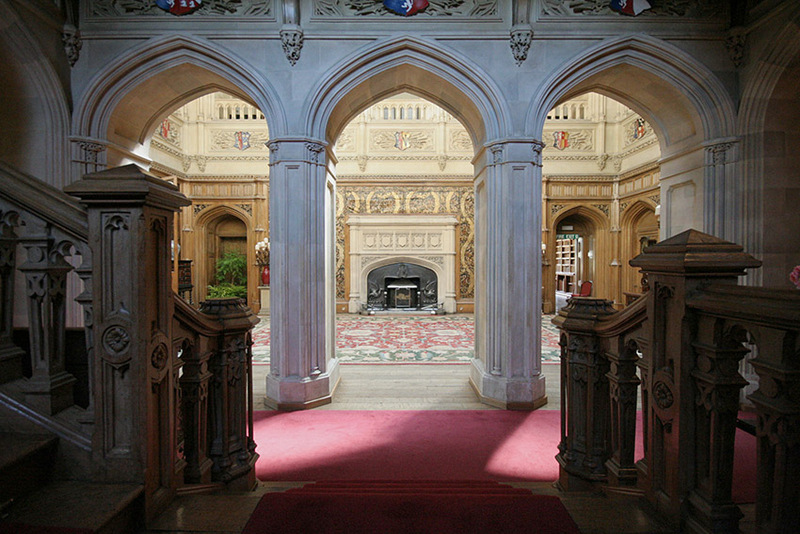 Several generations of the Carnarvon family were great travellers, returning to Highclere with ideas: the Italian inspired building you see today, 1661 leather wall coverings from Spain, sculptures commissioned of their children (one is still on the stairs), a pietra dura table and many new friends. The 5th Earl, a great archaeologist, spent each winter from 1906 to 1922 in Egypt, travelling in somewhat better style than my car journey and taking over two weeks to reach Luxor. He had begun his career studying at Cambridge University but not for long, as he seemed to prefer either scouring antique shops to improve the decoration of his rooms, or racing. After a year, his father could see it was not a profitable path and therefore decided his son should travel and thus acquire an education. Travel had long been considered part of the education of any gentleman, reaching perhaps its height with the 18th century “Grand Tours” undertaken by European aristocracy, but others encouraged it as well. 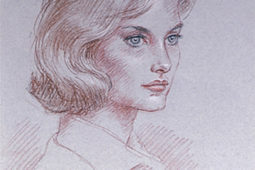 It was part of improving skills in drawing and observation for those engaged in architecture or painting, a chance to swap ideas, to find something no one else had found or to test oneself. I think there is simply a joy in exploring; to see, to discover and thus understand the pageantry of other people’s lives. Whilst travel is utterly absorbing, there is nevertheless, a deep sense of belonging when one turns to come home. Home is about my family and my friends who then travel to stay with us, about the dogs and the old familiarity. We have our last Charity event this year tonight: a party in aid of a pioneering children’s cancer unit in Southampton Hospital who need to raise the last tranche of money in order to succeed in their project. I hope we get there. The courage of the children undergoing treatment and the never-ending kindness, care and treatment from the doctors and nurses is inspirational. It is a journey of a sort for each family involved, facing a suddenly very different world with a mixture of determination and exhaustion. Tonight’s event is in a small way a thank you to the dedicated staff as well as a fundraiser and I hope everyone thoroughly enjoys themselves – coming together in support is also part of the journey. God Bless you for your efforts on behalf of this wonderful charity. I will have the privilege of fulfilling a dream and visiting your wonderful home on May 28th of next year. Thank you for all you have done and are doing to restore and maintain this marvelous piece of history. I am looking forward to seeing you then and you (Canada) are kindly giving us a tree – to greet the New Year – I hope you will admire it in May! I enjoy the coming and goings of life at Highclere. I also loved travelling but was always pleased to return home to the familiar. God bless you for all of the charity work that you do. Have very happy Holidays. Will be looking forward to hearing of them. I do always enjoy reading your blog so very much…it makes my day! Funny enough this time about travelling with your son as we coincidentally booked our next journey with our kids just yesterday… to England and Highclere Castle in August next year! After we also visited Florence and Spain some times (…by car), the kids did enjoy England with all the castles and beautiful towns much more as we spent our holidays there last year (…also by car)! We have already visited your lovely home then and we all liked it very much! My daughter (6) especially fell in love with the rocking horse in one of the bedrooms and my son (9) enjoyed the Egyptian exhibition very much! After we visited the battle prom concert at Highclere this year we will be back to see the castle again next summer! We are all very much looking forward to that!!! A very happy Christmas to you and your family and best wishes from Berlin, Germany! Out of my passion to horses, England, culinaria and the countryside I founded Britan Tours & Taste, offering very small exclusive group tours to England 3-4 times per year. Finally I will have the opportunity to visit Highclere next July. I’m very excited! It will be a pre visit for 2019 since I will organise a Downton Abbey tour for six members then. I hope to get tickets. Thank you very much for sharing words in your interesting blog – I will now subscribe! Fröhliche Weihnachten – PS haben Sie das Buch “Zu Gast in Highclere” gesehen? Do enjoy travel time with your son before he is old enough to be on his own. Yes, they might not be quite the happy travelers at a younger age, they will definitely look back when they are older and realize how much they enjoyed that special time with mum and dad. I love to travel (my hubby hates flying, so we don’t go anywhere we can’t reach by car) and someday I would love to visit England…. As Jane Austen said, “There is nothing like staying at home for real comfort.” (or something like that). So true! Thank you for sharing! Dear Lady C, what a delightful blog! Travel is such an important part of education…enriching and expanding. As a child I had very few experiences but as an adult, I have been able to visit several countries and each time I come home with lovely memories to ponder. The sights of Italy were some of the most beautiful and memorable. The Cathedral in Florence is one of those special memories. We have a wonderful Children’s cancer hospital, St Jude’s in Memphis has been at the top of our donation list for many years. How wonderful that you have the opportunity to do even more than sending money by sponsoring such a worthwhile event. Christmas seems to me a public event, one where many gather as well as the intimate family gatherings after time apart.I hope it worked this evening! I think everyone enjoyed themselves! My husband does not fly either, but we drive to NYC and take the Queen Mary 2 to Southampton… and return the same way. Every five years we do this. We sail in Sept 2018. 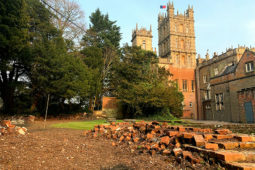 But alas too late for Highclere… their public openings end before we arrive. I am so disappointed not to be able to make a tour of Highclere… I am 78 and not in great health and this will probably be our final trip. Lady Carnarvon is there another castle and gardens you could suggest.? We arrive Sept 17 2018 in Southampton. I feel very sorry for you for probably not having the opportunity to visit Highclere, because it is really special! After having spent five succeeding summer holidays in England and Wales, and having visited a substantial number of castles and Palaces, it is difficult to pick one out and recommend it. But if you’ll travel to Cornwall, Lanhydrock is one of the most beautiful and impressing I have ever been to! I will pray for you and your husband and I really do hope that you will be able to take this trip! I agree – Cornwall, with its gardens, ancient churches and broach beaches is special. O PASSEIO DE MILADY DEVE TER SIDO MARAVILHOSO, CONTINUO CONVIDANDO MILADY PARA CONHECER O NOSSO BRAZIL. SO SOL,SAL E MAR.UM PARAISO NA TERRA. Thank you and I met some lovely Brazilians here this evening – doctors! This has brought back happy memories for me, I visited Florence a few years ago, and loved the buildings, and Cathedral, Italy, is one of my favourite places to visit, with all it’s history, and lovely people, I think it was learning at school, about the 5th Earl of Carnarvon and his discoveries in Egypt, which got me interested in travel and archaeology, I find it all very interesting. 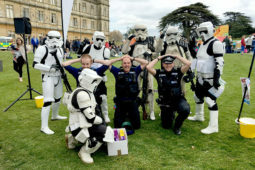 Good luck with the charity ball, a very worthy cause. It’s hard to pry my husband away from home to visit other places and lands, but I did manage to get ourselves to England a few years ago on a genealogical quest. We still talk about the places we visited including your lovely home. Can you clarify something for me? The lovely fireplace surround in the Saloon (such a beautiful room) has dragons on both sides. I always equate dragons with Wales, though. Is there a Welsh connection in the Herbert/Carnarvon family? I enjoy your blog each time it shows up in my incoming email and get to relive our tour through your eyes! Thank you so much. P. S. How is the old barn rebuild coming along? Fascinating place. Thank you Margaret – the dragons are wyverns associated with Wessex which is the old Anglo-Saxon name for this part of southern England but they are associated with Wales as is the Herbert family in the 15th century. I whole heartedly agree that traveling is so educational! We need to see how other people live – I even get excited to go one hour to my hometown of San Francisco these days! Always good to return home as you said – there is nothing like that feeling….God Bless all your charity efforts – gives me faith and hope in this otherwise uncertain world. Merry Christmas! Wishing you and your family a very Happy Christmas. It was a truly magical evening. 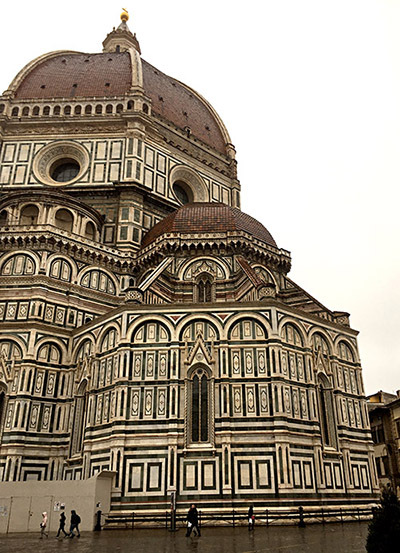 Thank you so very much for this post as it brought back wonderful memories of my visit to Florence and the feeling of breathlessness when I visited “The Cathedral of Saint Mary of the Flower”; the Baptistery and the Brunelleschi’s Dome. I was so impress with what I learned that later I hunted for a book that would sate my appetite for more information on it. I did find such a book “Brunelleschi’s Dome: How a Renaissance Genius Reinvented Architecture” by Ross King and I was not disappointed. The door of the Baptistery was another impressive part of that complex and later on I discovered that there is a replica of that very door at the Grace Cathedral in the city of San Francisco, California, the “Doors of Paradise”. The point here is memories made when we travel last a life time and are no doubt wonderful food for young minds! I’m quite confident that your goal for the charity will be met – a very worthy cause and wonderful way of sharing with the staff members. We have a similar unit in our local children’s hospital and I know how important their work is. And have a wonderful Christmas at Highclere…as always, a lovely blog! It was a good evening and had a lovely atmosphere.. I have many happy memories of long drives to destinations in Italy as a child (my father was southern Italian and we never flew) and the year I took my art A Level I persuaded the family that we needed to make a stop in Florence for a few days…I loved the art and the history and my little brother over indulged in Gelato! Nowadays my (Spanish) husband and I drive several times a year from the South coast of England to Southern Spain with two small dogs…so it’s quite the adventure. All the very best with your fundraising for such a wonderful cause. Thank you – Happy Christmas! I do always enjoy reading your blog posts, and I agree that childhood family car journeys do seem to linger in the memory. In my own case, growing up in the 1970s and early 1980s, I have vivid recollections of journeying on family touring holidays. While most adults in my family seemed to own either an Austin Princess, a Triumph Toledo/Dolomite, or a Morris Marina (at a time when it seemed like there were few other alternatives), my parents opted for a Honda motorbike for city runabouts, and a little Austin Mini 850 for touring farther afield. The Mini of course was highly fashionable at the time. No home was complete without one……and though most people had the good sense to also have a “family sized” car for long distance journeys, such thinking did not pervade our household. And so it was that off we would rumble in our little Mini 850, with deck chairs and all manner of other things lashed to the roof rack, while suitcases hanged precariously out of the rear luggage compartment, tightly strapped onto the boot lid with a piece of rope. Inside the car, and somewhat in each other’s pockets, were my father at the wheel, and grandfather in the front passenger seat, while my mother, grandmother, and teenage cousin were all squeezed onto the back seat. I, being deemed too young to require a seat of my own, was usually perched on one of my mother’s knees, while a pressure cooker was perched on the other ! Proper family holidays were self catering after all, and where would the 1970s housewife be without her pressure cooker ? It is highly doubtful that such an arrangement would have ever crossed the minds of the British Leyland engineers who designed the little car. And so, with a fair degree of inevitability, our journeys would often grind to a snail’s pace at the foothills of even the slightest gradient. The little Mini would voice its disapproval in the strongest terms by doing what at the time was referred to as “pinking”; chugging up the hill (slowly) with a great deal of coughing and spluttering all the way. Now, in adult life, as my work often occasions me to pilot my modern car effortlessly up the A34 past Beacon Hill near Highclere, I often think back to our poor little Mini 850 huffing and puffing up far less challenging gradients. Nevertheless, somehow we always made it to our destinations, and back again, though I never knew quite how. Wales, Devon, and even Ireland, and many other places in between, were all viable family touring destinations when one owned a Mini 850 and a roof rack ! By the early 1980s, BL had a new car on the market, the shiney new and ultra modern mini Metro. Lady Diana Spencer (later the Princess of Wales) had one….and so we just had to have one too, brand new and straight from the factory. With an upgrade in engine capacity from 850cc to 998cc (the higher powered 1300 option being deemed by my father to be just a little too racy), came a commensurate upgrade in touring ambition. My father had the novel idea of adding a tow bar to the back of the mini Metro. And so, as well as the overloaded roof rack, and standing room only interior, we also gained the addition of a little trailer that followed behind us wherever we went. Thus, with the pressure cooker now relegated to the trailer, I had the luxurious choice of two knees on which to spend my journeys, and could alternate between one and the other. I can honestly say that ours was the only mini Metro I ever saw towing a trailer, and may indeed have been unique in that regard. Needless to say, “pinking” nevertheless remained a constant feature of our journeys. Although in my early adult life, once out of university and earning my own way in the world, I acquired a much more comfortable 2 litre Rover car in which to pursue my own tours farther afield into Europe, those childhood senses of adventure and wonder (and at times sheer terror) experienced on family tours were rarely recaptured. I hope that the Charity night was a great success. A most worthy and important cause. It is quite apt to be mentioning charity and Florence in the one Blog. Florence was not only the “Cradle of the Renaissance” for the arts and architecture, but it also was ahead of its time in charitable affairs. The famous Hospital of the Innocents was (to quote from a Guide to Florence) “a major symbol of Renaissance architecture and civilization. It combines Brunelleschi’s talent with a take on everyday life in ancient Florence, a city devoted to commerce and money but capable of great generosity. “With no desire to romanticize, one can say that the Arte della Seta (Guild of Silk), that allocated huge sums for the foundling hospital, was ahead of its time in conceiving charity, not only as a mean to the salvation of one’s soul, but also as an act of civility. We are indeed fortunate to be able to share such amazing experiences with our children. The weekend in Florence that you have described with your son will undoubtedly always be treasured and fondly remembered by both of you. And it reminds us to enjoy and make the most of every moment with our children and indeed all of our loved ones. Enjoy today, because it is a gift. That’s why it’s called “the present”. Merry Christmas and Seasons Greetings to you, Lady Carnarvon, your family, and all readers of this Blog and their respective loved ones. May 2018 be a very special year for you all. What a great family trip! Touring a stunning city without a schedule or the constant demands of modern life is a true luxury. Tasting new foods, checking out gorgeous architecture and exploring new landscapes is always educational and fun. The rewards are many – great memories to last a lifetime, new friendships and interesting experiences. I recently returned home from a brief trip to Charleston, South Carolina, and I felt the same way. It was my first unscripted trip in fourteen years. No schedules, just exploration. What a slice of heaven! It was nice to return home feeling refreshed and renewed. Wishing you much success with your fundraising efforts on behalf of the children! I forgot to extend best wishes and good luck with your charity event for children fighting cancer. It is always heart breaking when little ones are afflicted. Then, you see and hear them and your heart swells with joy because their resilience and surprisingly their wisdom comes through. I sincerely hope that this event surpasses your expectations and will go on to help to cure or make life easy for these little angels. Prayers for Blessings on you and your family at Christmas. Lady Carnarvon. It’s always a pleasure to read your posts! You are a wonderful mum to spend time with your children and travel as you do. I’m a former flight attendant of 22 years with United Airlines here in the states. It was like pulling teeth to get my parents to travel anywhere so I could show them the world! I no longer fly and I miss traveling and to visit Highclere Castle is definitely number one on my bucket list. I hope to visit in 2018! Again, thank you for your posts. Living vicariously through you here in the states! Happy Holidays! Cheers. Lady Carnarvon, we too traveled as a family when I was a child and my wanderlust is still very real. That desire to travel and see new things prompted me to ask for and receive for Christmas, tickets to your charity event Monday night. I was fulfilling a dream to see your home and could “see” myself looking at that beautiful tree. But, it was not to be. The devastating fires at Hartfield-ATLANTA airport on Sunday caused our flight to be cancelled and therefore my husband and I missed the event. I am still grieving!! Due to the heavy volume of travelers we will arrive in London on Friday. I do look forward to seeing our friends and our Son-in-law’s family but I’m so very heartbroken to have missed Highclere. Perhaps it will happen at a later day. Merry Christmas and a blessed and happy New Year. I am so sorry – how awful – please let us know when you might next fly over so we can make it up! I saw the airport news on TV – it is often an airport I have used flying in for speaking engagements – Have a good Christmas! I always enjoy your blog, my best wishes for Christmas and 2018 to you and your family. Nice trip to visit Florence, I have not been but it must be beautiful. As for long car trips, they are always remembered with that nostalgia but they are nice to do with the family. To me in particular, I love to travel as a family although my daughters are already 26 and 23 years old. As soon as we can, we all escape. In Spain where I live, there is a lot of leather art in medieval works, in pottery etc. In Toledo it is a good visit to go and see it since there are authentic works of art. And if you can buy better hahaha. When I had to study geography in school, I always said that it would be better to study it traveling, that would be my passion. As for collecting, I hope it went well and they have enough to continue investigating cancer. Thank you – the hospital is inspiring! I’m sorry to say that I missed all the 6 seasons of Downton Abbey. I know it’s been years since it’s been shown out here in the US. Sorry but in my line of work it truly is hard to watch television after a hard day. I bought the dvd collection to Downton Abbey and as I kept watching it, your home became part of the characters and story line. What a beautiful place. I hope to visit some day. So happy for the people who were able to attend your Christmas functions at Highclere as they are definitely highlights in my and my daughter’s lives. We hope to make it back another time! Happy Christmas to you and your family, may God bless you with the best year ever. What a delightful blog Lady C. Wish you and your family a Merry Xmas and a Happy New Year. It sounds like your family had a lovely pre-Christmas vacation. 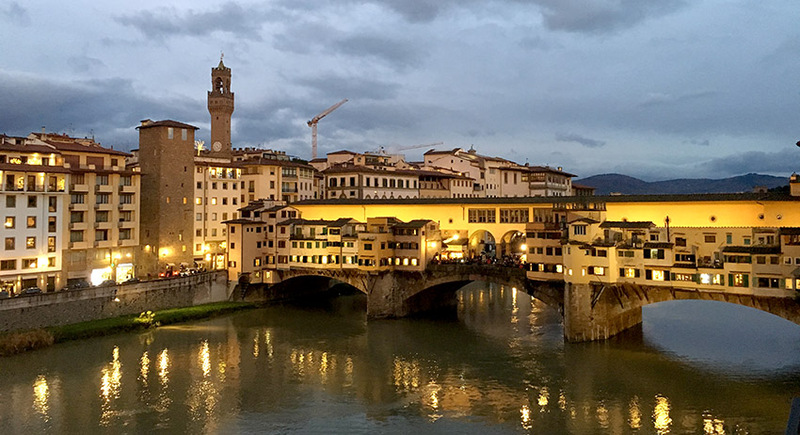 Florence is truly one of the most beautiful cities in Italy (or the world.) I have not had the pleasure of traveling to Italy yet, but I hope to go there someday. I think Europe is such a beautiful continent and there are so many lovely destinations. I had my dream of visiting the UK (England and Ireland) realized last year and it was everything I dreamt of and more. I am of Irish and possibly partly English descent so visiting the United Kingdom resonated with me very strongly. I also visited lovely Highclere Castle at that time. I still think it must have been a dream. I have pictures from my journey, so maybe not! I’m delighted that you got to show your son Florence. He will always cherish those memories with you, and you with him. Christmas at Highclere awaits, so enjoy the happiest and merriest of holidays! Thank you – we had a lovely time on Florence – wandering … looking – happy Christmas to you and family! It is a beautiful story. Amazing how every place we visit and people we meet, we take a a little bit with us for life. And how we appreciate when we come home.